One of the first improvements we launched was in the call log we now have a link icon in the visitor detail section. When the link is present it means that we sent an event into Analytics, when you hover over the icon it will display which Google Analytics property the event was sent into. This tool is handy for quickly identifying if CTM is connected to an Analytics account, this feature saves time by not requiring you to have to navigate to the integration page to see if your CTM account is linked to a UA property. If the link icon is present it serves as confirmation that CTM is linked to an Analytics account, if the link icon isn’t present it means that either Analytics isn’t linked to CTM or there is event tracking include/exclusions in place. Also from with the visitor detail tab there is a graph icon. When the graphic icon is clicked it will expand to show you the likelihood of the website visitor to the caller,as well as the other calls that have a lesser likelihood of being matched (if any). Next to the likelihood percentage there is a blue details button. When this button is clicked it expands to provide you with more indepth information regarding the website visitor, such as the approximate time they were on your site, the number of tracking numbers viewed and the UA property we detected on the site. The UA information is important because in order for your Google paid calls to be able to go into Google Adwords, Analytics is going to have to confirm that the information we sent them is accurate by matching it to the information they have. If Analytics isn’t reporting the same information or no information at all, Adwords isn’t going to allow the call to count as a conversion in Adwords. If the UA property you see when you hover over the link icon isn’t the same as the one from the expanded details, then that will prevent your paid call from being able to be counted as a conversion is Adwords. Lastly in the call log, if you noticed that your Google Adwords calls aren’t pulling the campaign information you can trigger the request yourself. This feature is especially handy for retrieving campaign data when Google is running slowly or in that case that your CTM account wasn’t properly connected to your Analytics account and you’ve corrected the problem. This feature will allow you to re-request the campaign data from Analytics. To trigger the request click the graph icon in the call log under the visitor detail column, and to the left there will be a small blue cloud icon. Clicking the cloud icon will trigger the request to Google Analytics, once the trigger has been sent the icon will transform into a coffee mug. This was our developers creative way of saying go get a cup of coffee and by the time your back to information should be reporting. We’ve recently added two new buttons into the Google Analytics integration page, a Check Adwords Linkage button and Check Analytics Link button. By clicking the check Adwords Link button our system will detect if the Analytics account you’ve linked to CTM is properly linked to an Adwords account and if that account as auto-tagging turned on. This button is especially handy if you aren’t able to gather the campaign information and/or see your calls as conversions in Adwords. The Check Analytics Link button can help verify that your Google Analytics account is not rejecting our event data. Filters set up in Analytics can prevent our the event we send from showing up in Analytics. 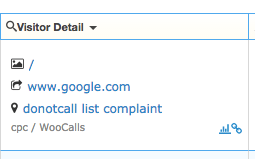 Troubleshooting tip: If you see the link icon in the call log but aren’t able to see the calls in Google Analytics this is probably a result of filters in Analytics. On the bottom of the integration page there are two buttons one call Include Tracking Events and one called Advanced Categorization Rules. These are our more advanced options and I would advise using caution when setting these up, double and triple check to make sure you’ve set things up correctly. The Include Tracking Events options is a filter you can setup from within CallTrackingMetrics that allows you to decide what information you want to send into Analytics. Standard CTM will send all inbound calls into Analytics, utilizing this feature allows you to restrict the data that we send into Analytics by Tracking Number, Tracking Source, Receiving Number or Menu Option. This feature can be useful to help keep the data you’re sending into Analytics relevant to your company. For example, if you have an IVR menu with the options of press 1 for sales and 2 for support, but you only want your sales calls going into Analytics. You can create an include tracking events filter for the keypress of 1, this will filter all other keypresses from being sent into Analytics. The Advanced Categorization Rules gives you the option to choose the event category name that is sent into analytics. Standard we send all inbound calls into Google Analytics as Calls Events, with these events the value is equal to the seconds of talk time, not a numeral value. Standard, the only time CTM would send an event with a different name is when you are utilizing the Call Scoring option and have the third checkbox on the integration page checked. In this case when a call is scored and marked as converted we will send a second event into Analytics called a CallSale and the value will be the converted dollar amount. By using the Advanced Categorization Rules you can rename (re-categorize) the events that go into analytics. 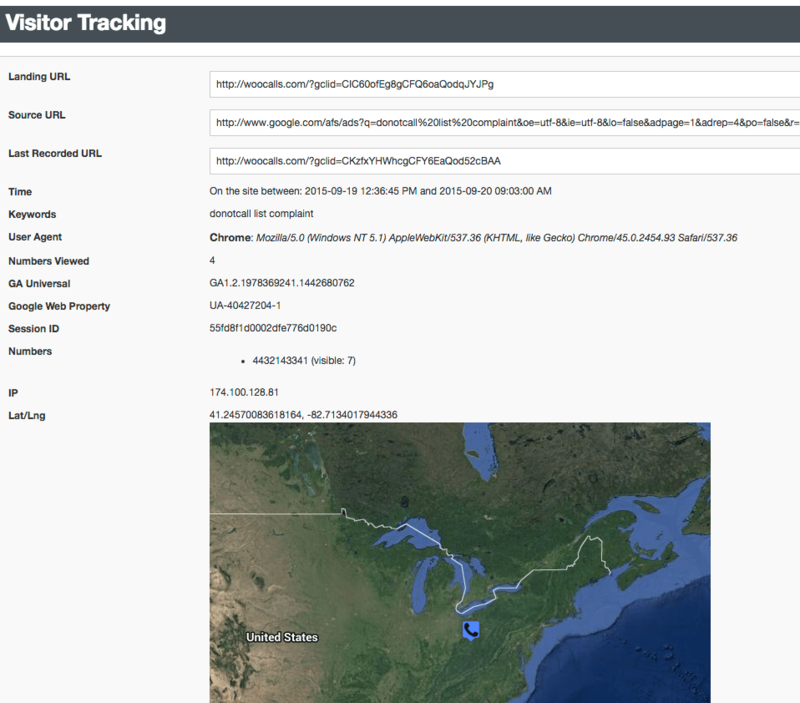 You can create multiple filters by tracking number, tracking source, receiving number or menu keypress. An example of when these filters would be useful is if you wanted each event that is sent into Analytics to be named/categorized the same as the tracking source. Making it so when you log into Analytics you would go to the Events overview and rather than having all your calls be under the category of Calls, they could be in the multiple categories of your choice, like Website calls, Google Paid calls and Facebook calls. Other than the name/ category changing no other information will report differently.